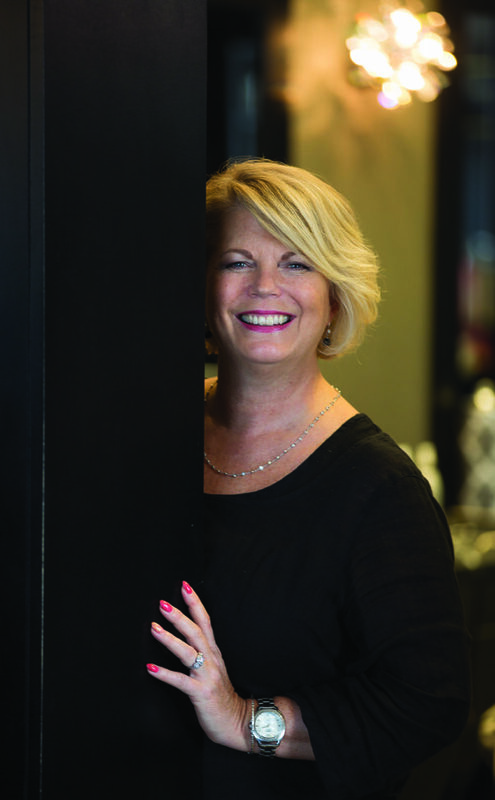 Leanne Boyd, owner and founder of Level 10 Eurospa in Courtenay, didn’t grow up with aspirations of being in the beauty industry. The Ontario born and Comox Valley raised businesswoman explains with a smile that she finished high school, set out to travel the world, and came home many months later flat broke. A chance boat ride on the MV Uchuck, from Gold River to a logging camp on the West Coast of Vancouver Island, found her working as a cook’s flunky at said logging camp. One day, between peeling spuds and washing dishes, someone asked if she could cut their hair. Despite the fact that she had no prior experience, she picked up a pair of scissors and started snipping. The results were surprisingly great! Others soon lined up to have their hair done, too. When Boyd returned to the Comox Valley to get her own hair cut by a professional, she told him about her experience and the stylist invited her to join his team as an apprentice. She has never looked back! Boyd adds that she can’t take credit for the name and also that it has nothing to do with what level of the building they are located on, or the fact that they are now located on 10th Street. Nor is it connected to Bo Derek’s infamous scene in the 1979 movie ‘10’, as some people have suggested. Shortly after opening the salon, Boyd was recognized by her peers with the ‘Master of the Craft’ award. This set the tone for her future business practices and accomplishments. It was also at this time, with advanced training through US-based MATRIX Professional Hair Care & Salon Services, that she became an industry educator travelling throughout the province and teaching fellow hair designers. Providing the optimal work environment and ongoing education has always been a priority for Boyd. The reward has been a long term, loyal team of professionals that are passionate about their chosen career and truly care for the clients. Staying on the leading edge in the industry has always been very important to Boyd. Level 10 was the very first full service day spa in the Comox Valley, amongst the first in Canada to introduce the Hot Rock Massage, the first on Vancouver Island to become certified in Thai Stem Massage, and the first spa in Western Canada to introduce Hydradermabrasion Skin Rejuvenation. Wanting to offer their clients the utmost in quality skin care and cosmetics, they also created their very own lines of all natural, botanical skin and body care products called ‘L10 haute naturals’, as well as a mineral-based makeup line. The stellar guest services and professionalism at Level 10 has not gone unnoticed. They have been repeatedly recognized for service excellence. Awards include: the 2014 Comox Valley Chamber of Commerce Business of the Year, 2016 Vancouver Island Retail Business of the Year, the 2016 Comox Valley Sustainability Award, and the #1 Independent MATRIX salon in British Columbia three years in a row. In the BC Living People’s Choice Awards they were voted in the top three salons on Vancouver Island, and were winners of the Comox Valley’s ‘Favorite Place for a Makeover’ and finalists in the ‘Favorite Hair Salon’ categories. A career highlight for Boyd and her team is that Level 10 is now a ‘Certified Green Circle Salon’. One hundred per cent of all hair clippings, foils, color tubes, papers, plastics, spa waste and excess chemicals are recycled and/or repurposed in an environmentally responsible way. All hair clippings are made into ‘hair booms’, to soak up oil and chemical spills in waterways, while all the spa waste is cleanly incinerated to create green energy that goes directly to BC Hydro. Since 2014, Level 10 has diverted 1.5 tonnes of salon waste out of landfills and waterways! This year Level 10 celebrates 27 years of providing ‘A Beautiful Experience!’ Boyd and her team are proud of their accomplishments, the service they provide, and the many wonderful relationships developed and maintained over the years, including with InFocus Magazine. “I feel extremely proud to have been part of the InFocus family,” says Boyd.